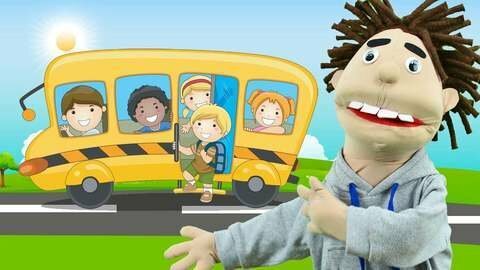 Watch nursery rhymes videos and car cartoons for kids with our favourite Bus! Bus is an inhabitant of the city of cars. Together with other vehicles, it works, makes friends and gets in amusing situations. It is also a popular hero of educational nursery rhymes. Superheroes and Puppets love playing with Bus and singing songs about it. Sing along with them! Boys and girls all over the world enjo watching cute and funny cartoons about bus and cars. Pick from the best videos right here! SeeZisKids has all your favorite Bus videos in one convenient spot, whatch them online, absolutely for free!